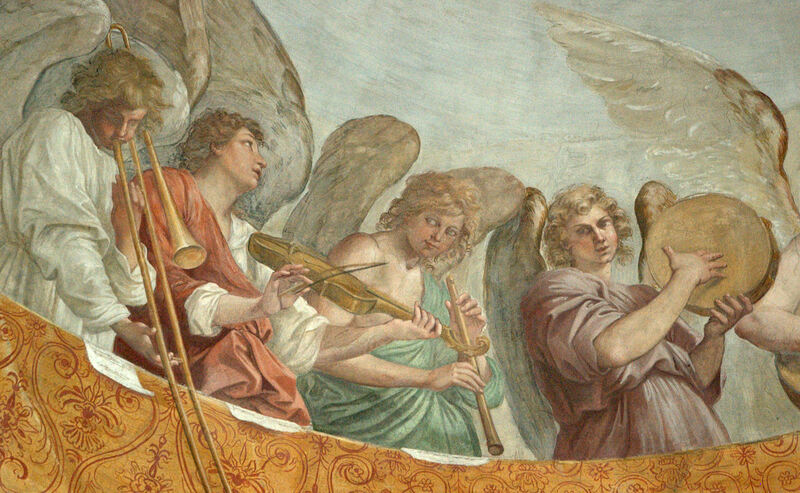 Yesterday I added the below entry and image to the blog post, Serpent & Ophicleide: History and Images. Including a few others I have recently added, that post now features 87 images! There are exceptions, but one of the things that is most readily apparent is just how many of the pictures originate from France. 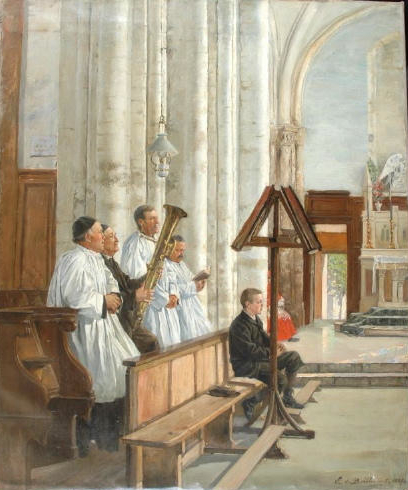 1887—France: A painting by Edmond de Boislecomte entitled The Lectern of Aulnay-les-Bondy features an ophicleide player in a sacred setting (see below image; public domain).